to all who participated at the 2017 Santiago, Chile meeting! 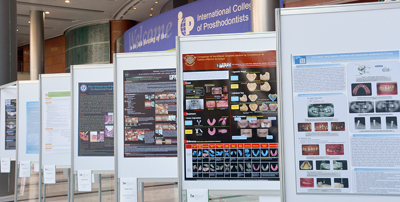 Poster abstracts and digital posters of award winners can be viewed by ICP members on their "Member Page", on the Continuing Education: Presentations ICON. We wish to thank all who presented and appreciate your continued support! The Poster Awards cannot take place without the generosity and vision of the 2017 Poster Award Sponsor - Ivoclar Vivadent, allowing the ICP to continue our mission... internationally promoting the specialty and discipline of prosthodontics.